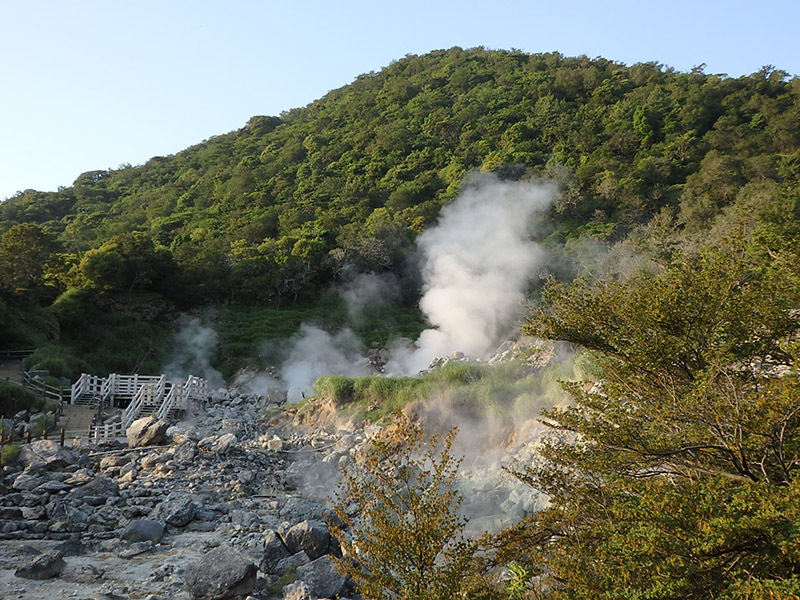 Route 2 takes you from Ureshino hot spring to Unzen/Shimabara hot spring in Nagasaki Prefecture. 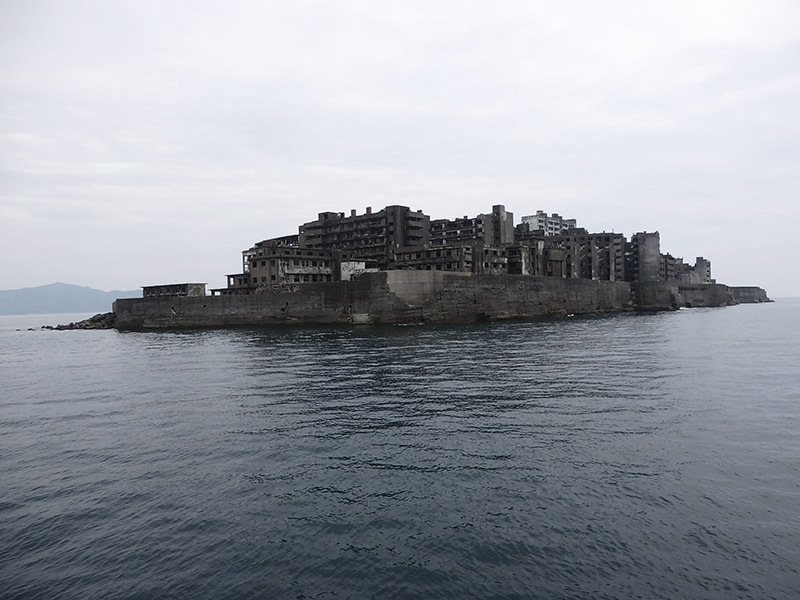 Go to the World Heritage site of Gunkanjima on the way by ship from Nagasaki Port. 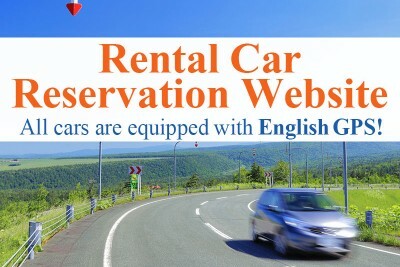 Required time: 1 hr 15 mins. 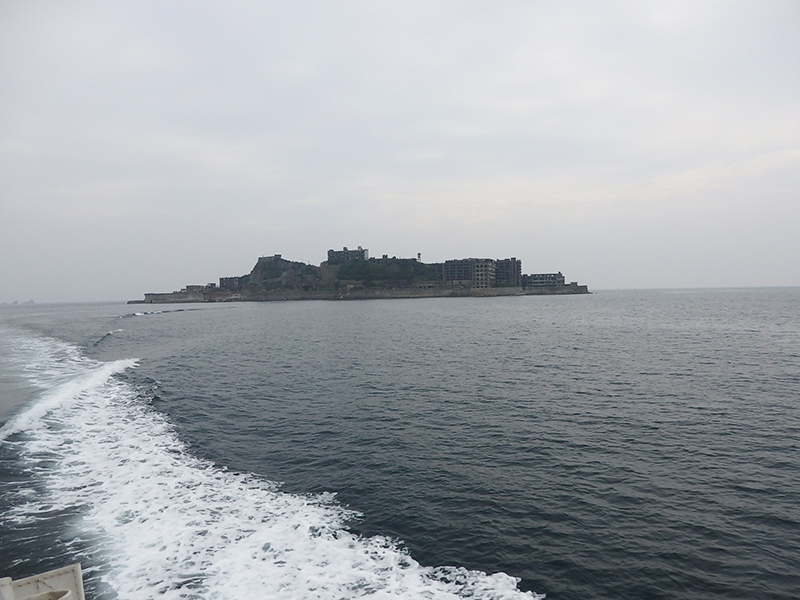 Arriving in Nagasaki City in one hour from Ureshino hot spring. 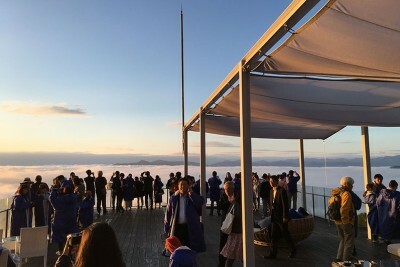 The Inasayama Observation Deck is located on the mountain in the center seen over the sea. 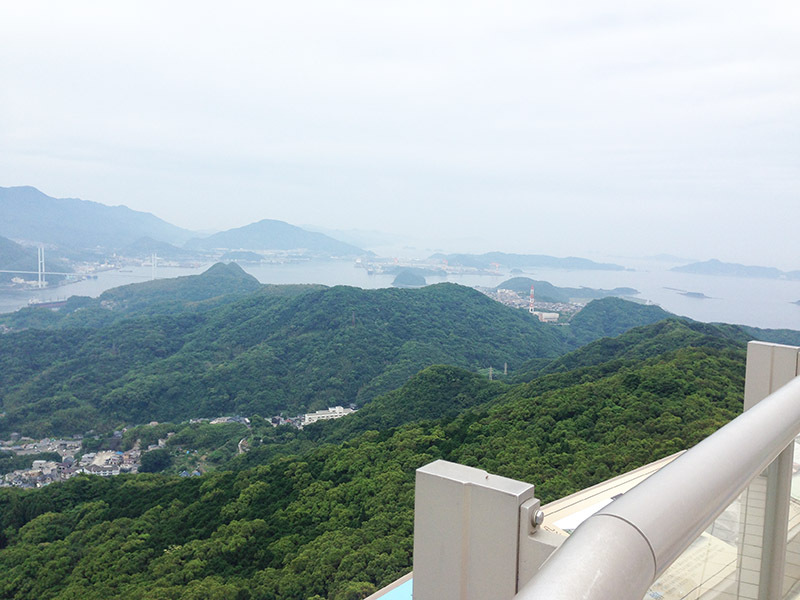 A beautiful view from the observation deck. 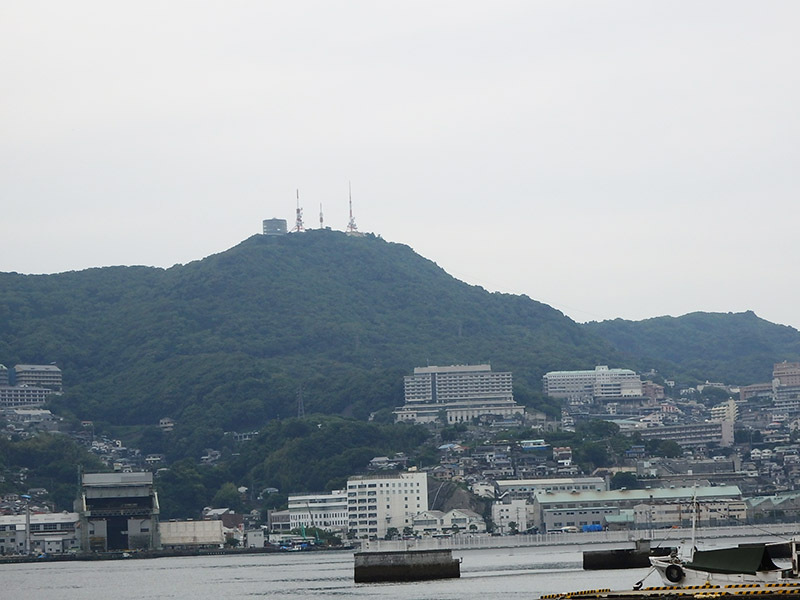 Several small offshore islands can be seen from Nagasaki Port. 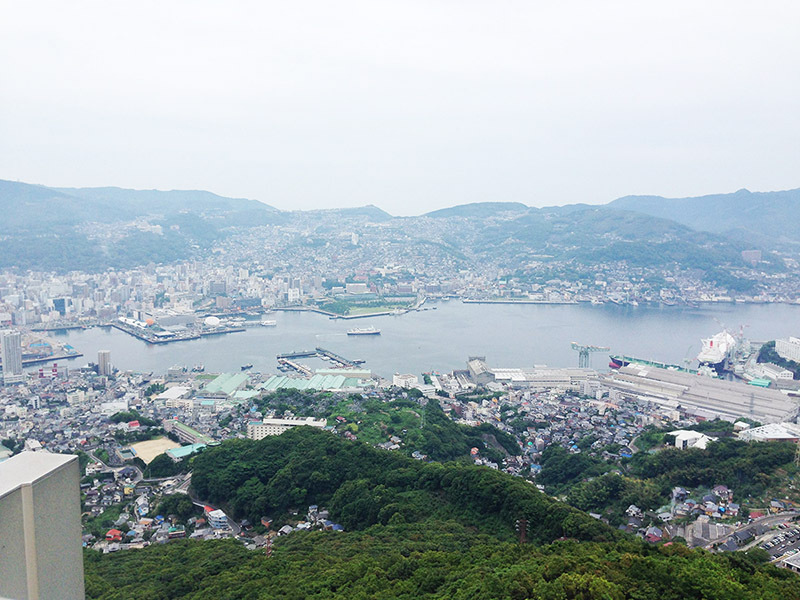 Mount Inasa has a spectacular night view, which is recognized as one of new three most beautiful night views in the world. 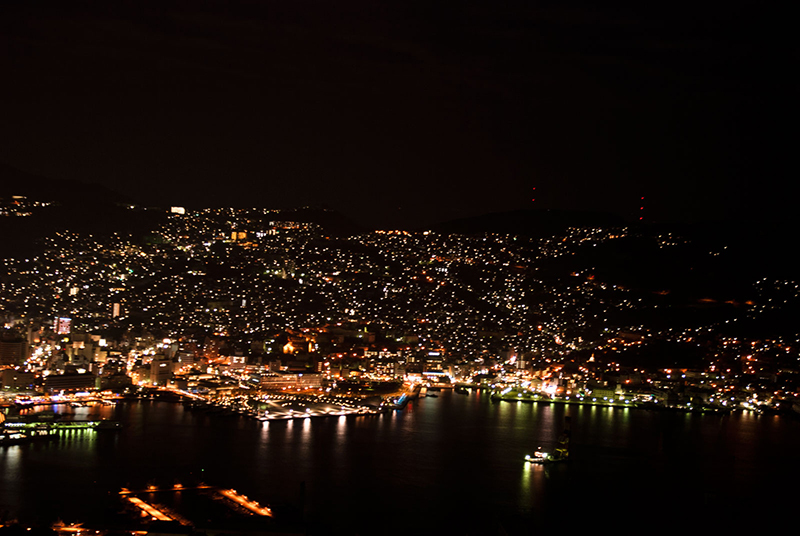 There are hotels with a beautiful night view. 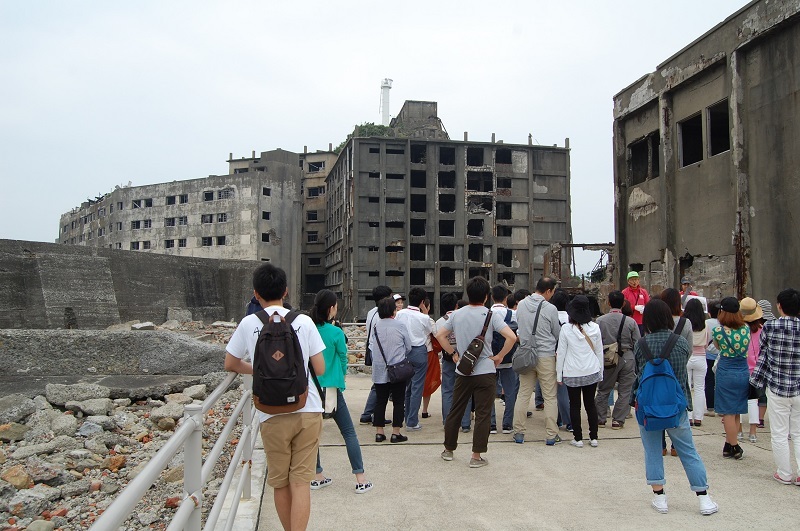 We took part in a tour to Gunkanjima from Nagasaki Port. 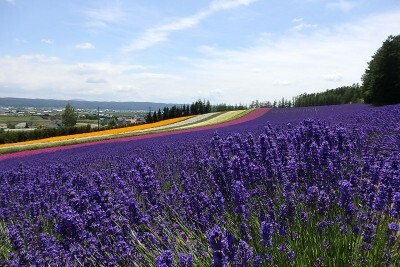 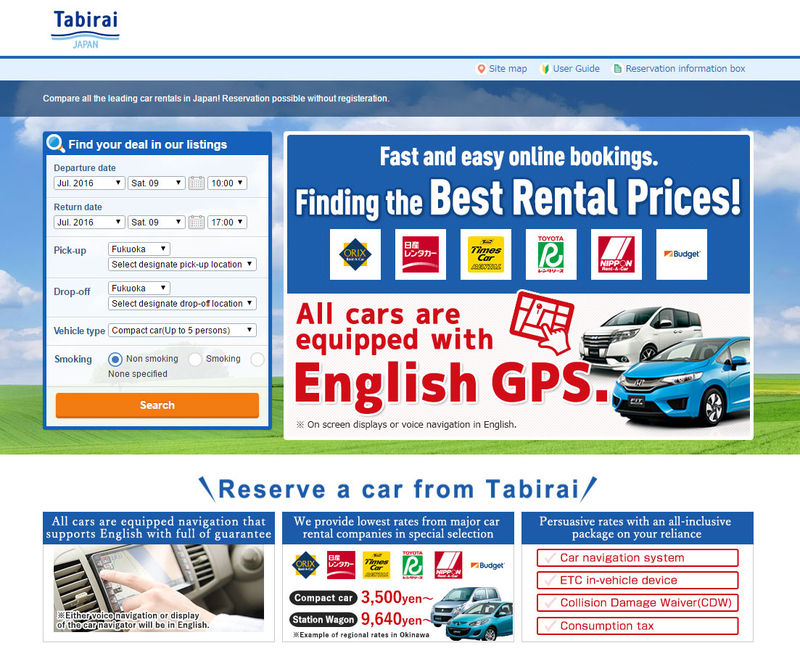 The required time is three hours at 4,300 yen per person. 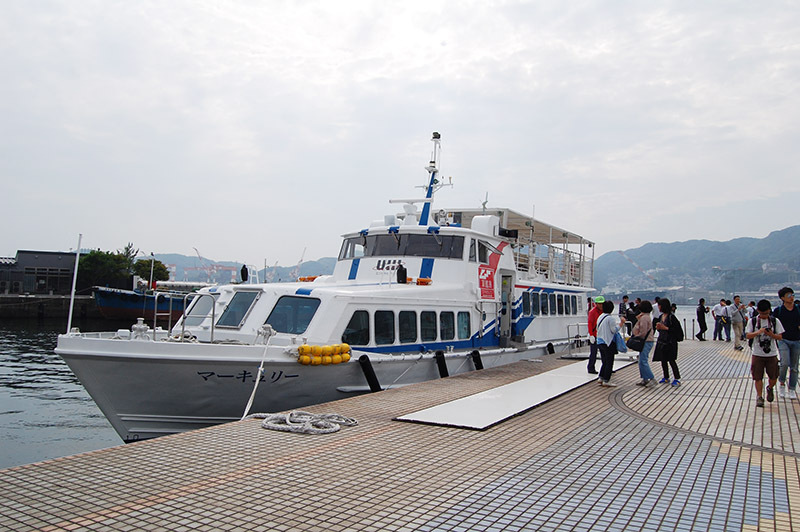 It is a forty-minute cruise one-way, while looking at the sights of nearby islands. 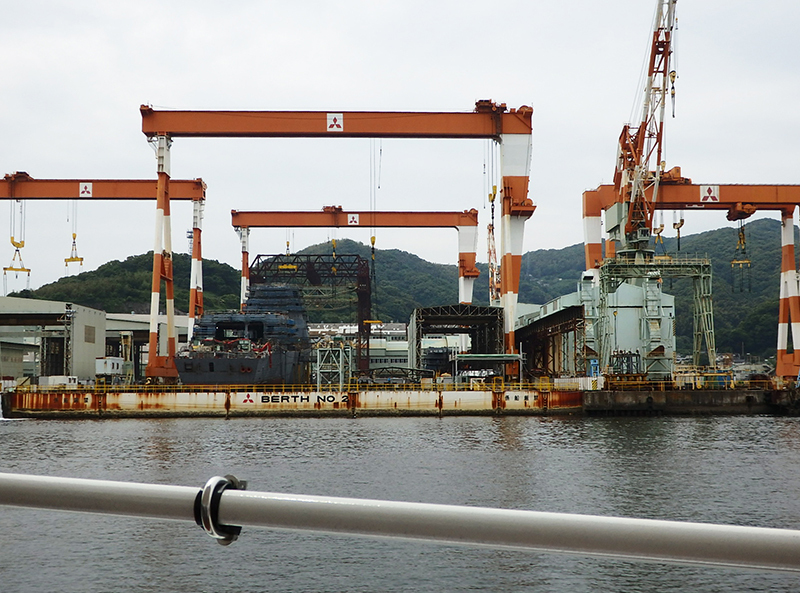 There is also a huge dock. 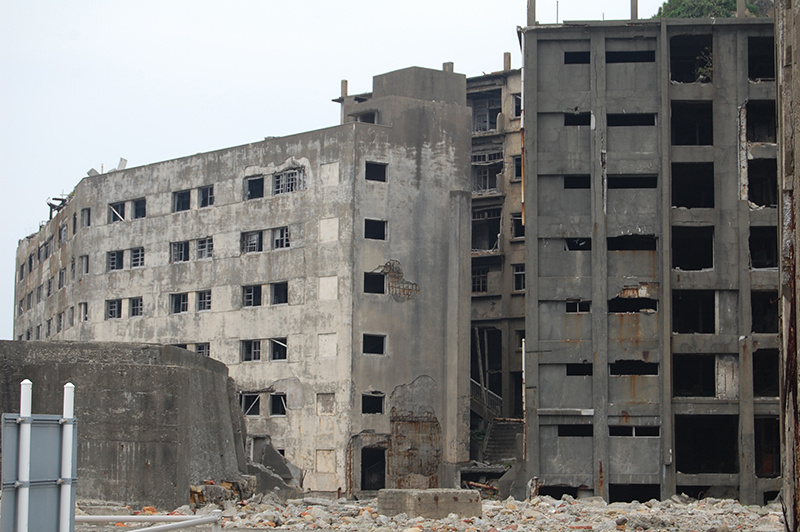 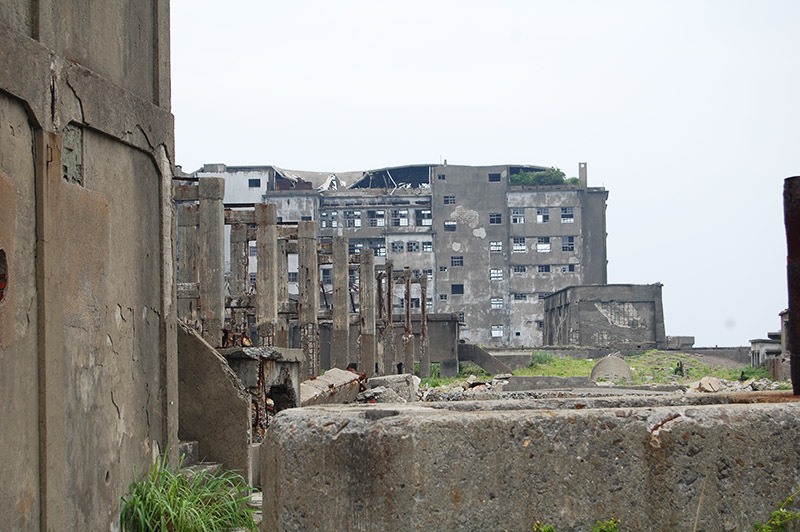 Look at Gunkanjima getting closer! 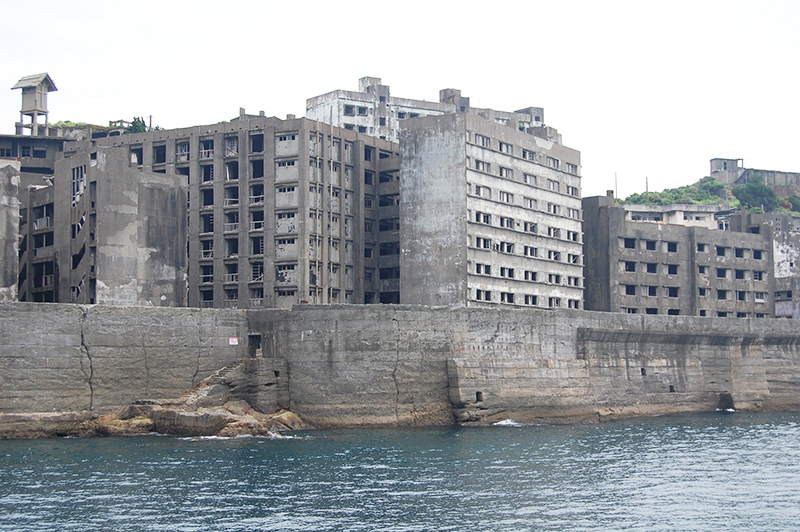 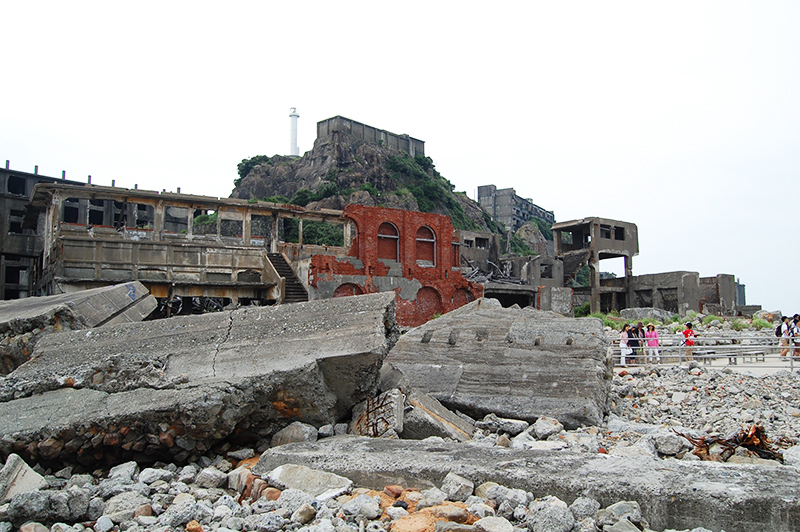 Gunkanjima prospered as a an island with undersea coal mines and was inhabited by 5,300 people during the height of its prosperity, but was closed and abandoned in 1974. 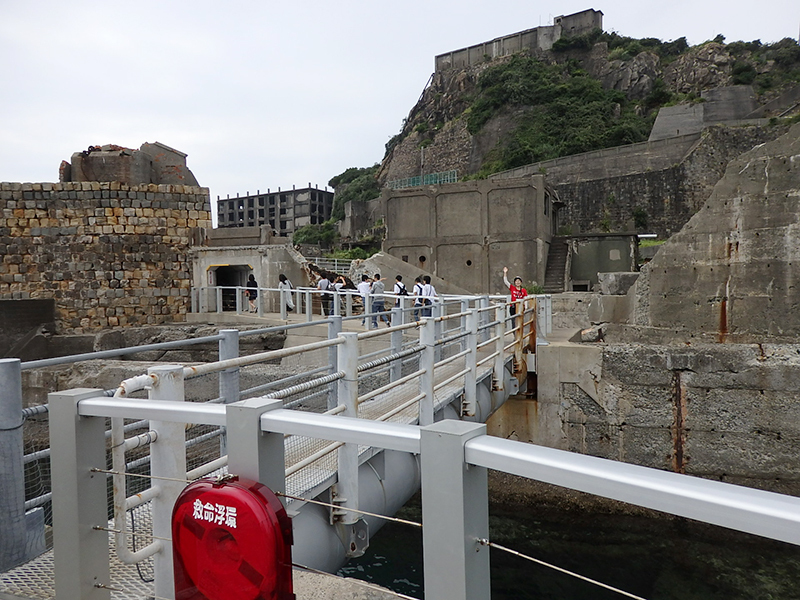 Taking one-hour tour in the island. 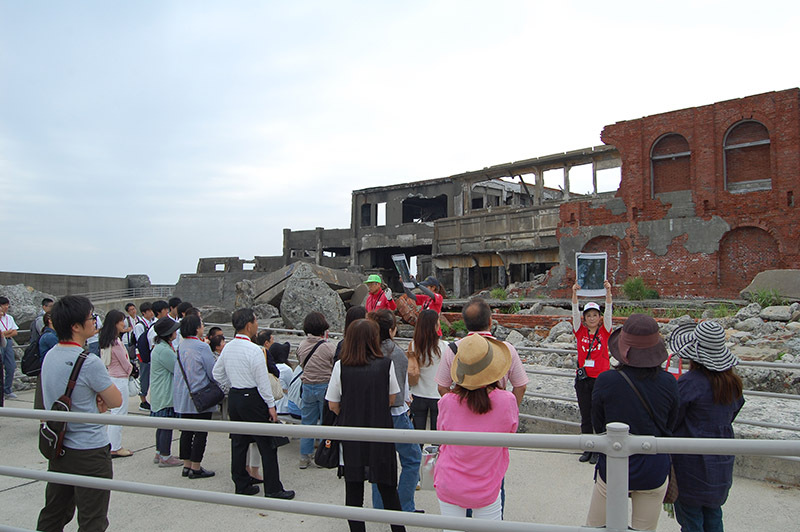 Returning to Nagasaki Port after the tour. 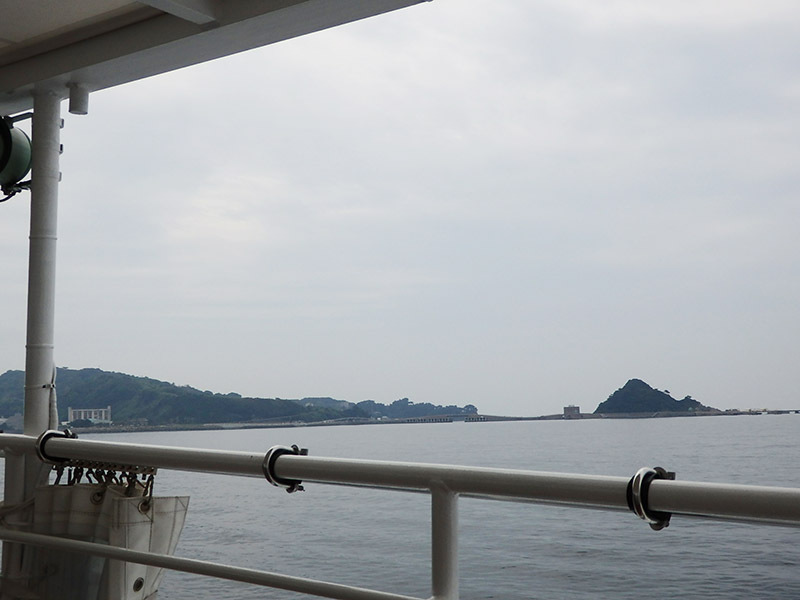 Arriving in Unzen hot spring in one hour twenty minutes from Nagasaki port. 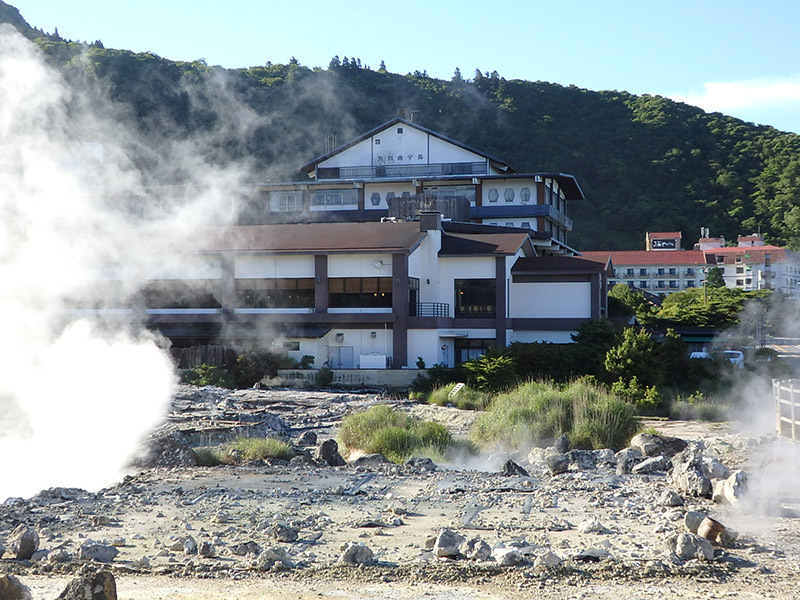 The steam and sulfurous smell excite us with an expectation for hot spring experience. 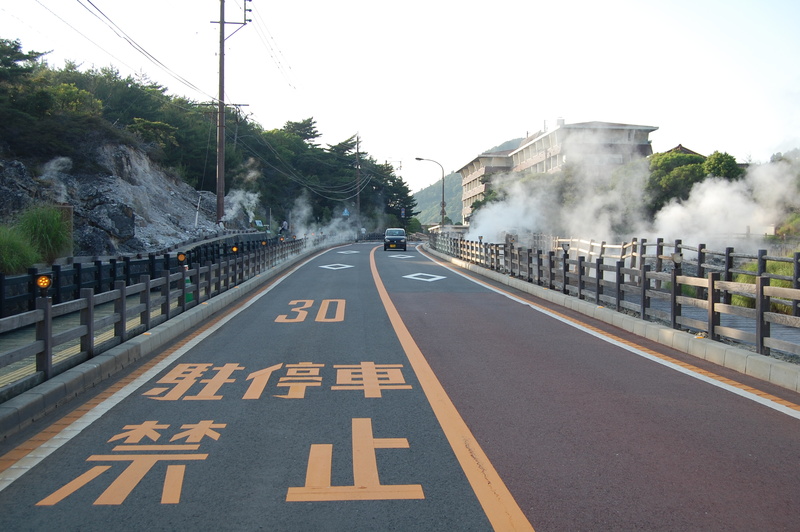 The rising hot spring gas on the roadside makes the scenery more impressive. 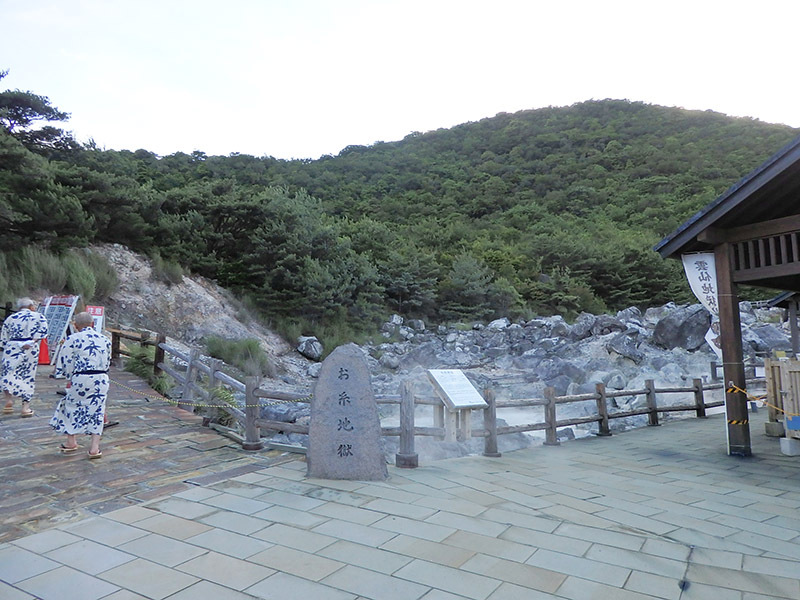 The entrance to the popular Unzen Jigoku (Unzen Hell). 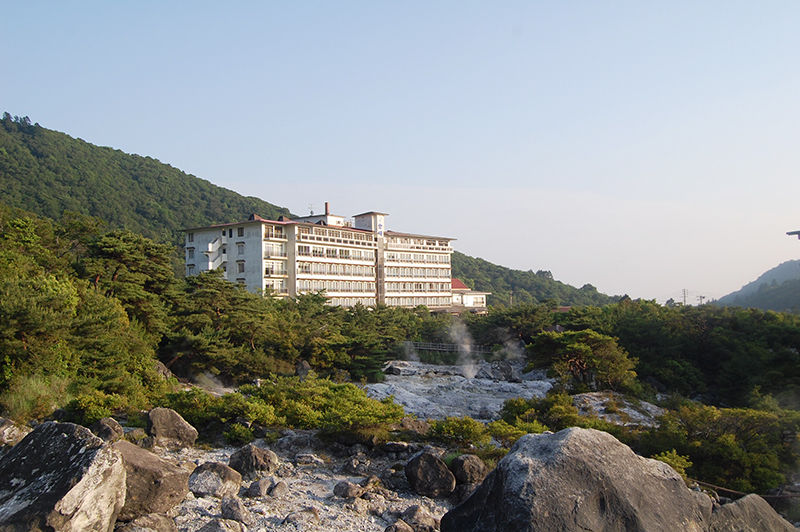 There are facilities such as hotels and inns around Unzen Jigoku. 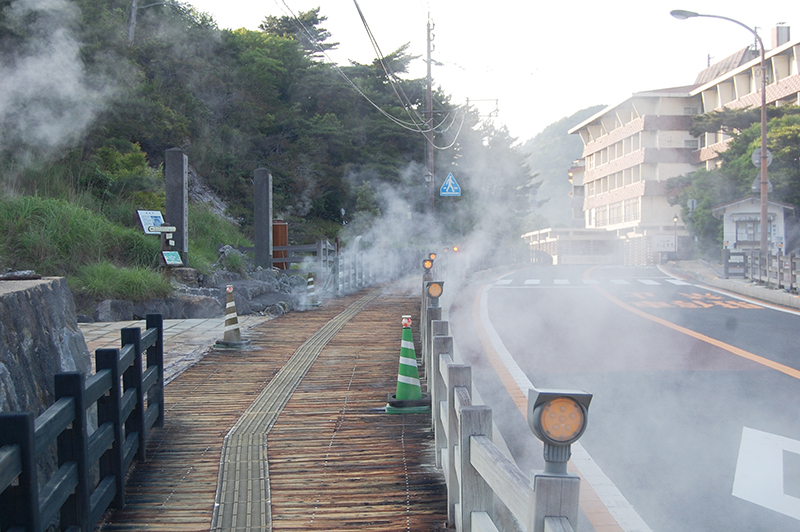 Hot spring water wells up from below the smoke. 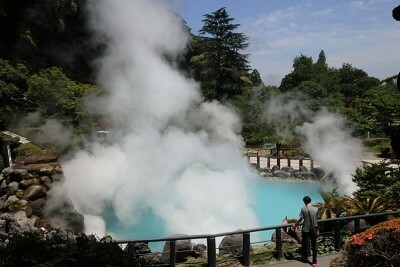 It is a great pleasure to take a hot spring bath in water that has just welled up! 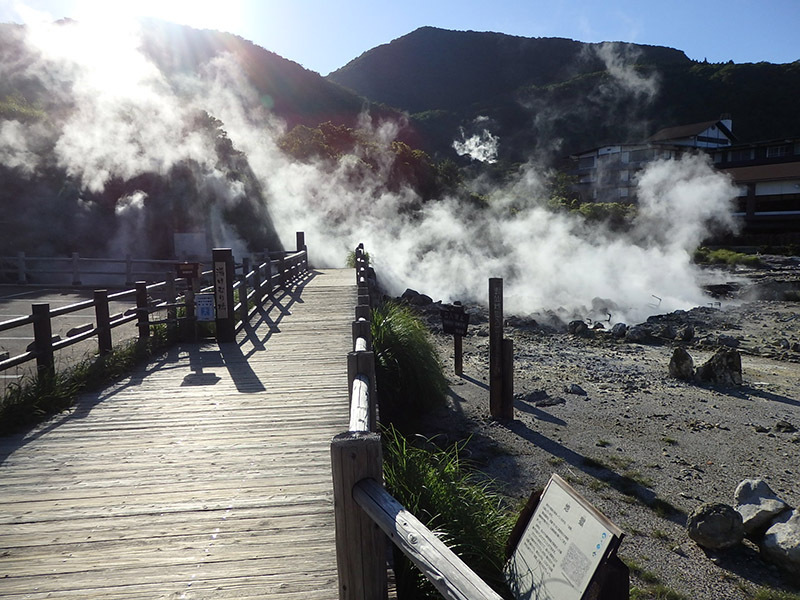 As you proceed, there are inns and different kinds of jigoku (high-temperature active hot springs). 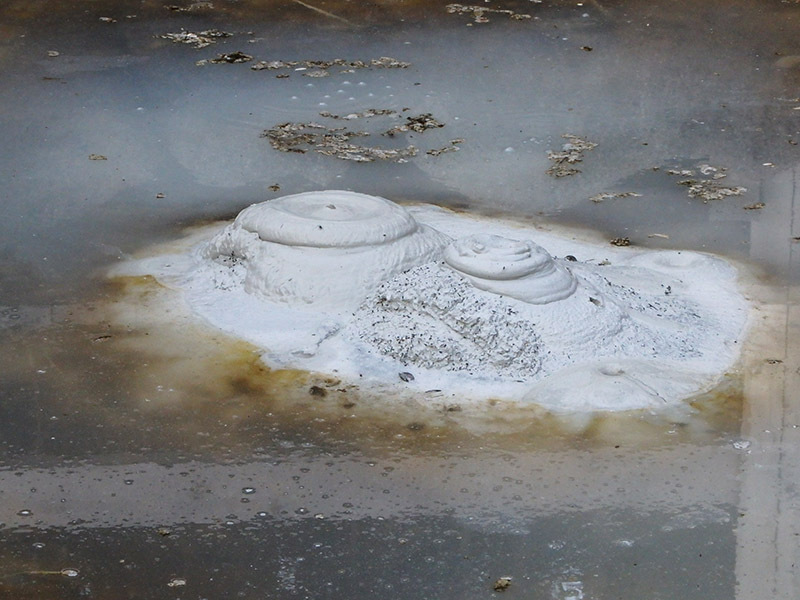 There is even a mud volcano. 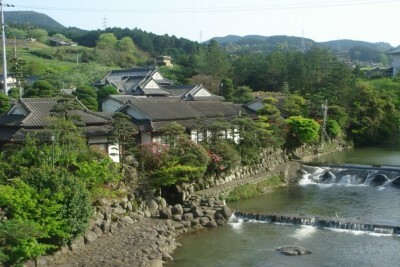 Daikyokan Jigoku (Daikyokan Hell): The has the strongest fumarolic activity in Unzen Jigoku. 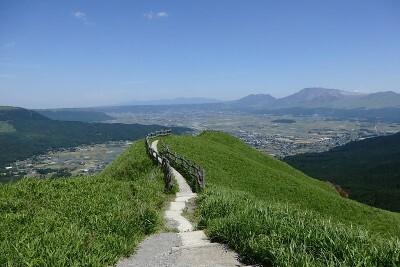 A well-maintained path in Unzen Jigoku makes it easy to stroll and can hike around in about thirty minutes.